How important is content marketing? Maybe you should have asked Bill Gates 20 years ago. Gates wrote an article titled “Content is King” in 1996. (Maybe this is where the phrase was coined.) He predicted that content would be where most of the money on the internet would be made. Its most intrinsic value was that it could be spread globally at little cost. Bill Gates is, unquestionably, a hugely successful man. And it’s one reason why we should heed his vision on the value of content marketing. We’ve seen the surge that Mr. Gates predicted. But are you making full use of your content marketing strategy? Content marketing isn’t just about blog posts anymore. It also involves folding SEO into your content, as well as getting the most out of social media, automation, and distribution. Here are a few ways you can jack up your content strategy. Don’t ask your web developer or your secretary to create your content—unless they’re phenomenal and have the time! Put together a skilled team that knows what they’re doing in regards to content. If you don’t have the manpower, get people who can do it for you. Urbanspoon, a leading bar and restaurant guide, knew that they needed to grow their content in order to better engage their audiences. Lacking in resources, they recruited CrowdSource to help them expand beyond reviews and menus. They aimed to get foodies to try new restaurants, as well as add some culinary education. Together, CrowdSource and Urbanspoon created an online dining dictionary, where food definitions included fun facts, taste attributes, and associated flavors. Some of the new restaurants they were encouraging visitors to try had food items that were unfamiliar, and the dictionary helped immensely. Getting readers more familiar with exotic items engaged their audience and got them excited to try new restaurants. Smaller businesses can find help with their content at freelancer sites such as Guru and Upwork, formerly Odesk. Creative content marketing creates buzz. 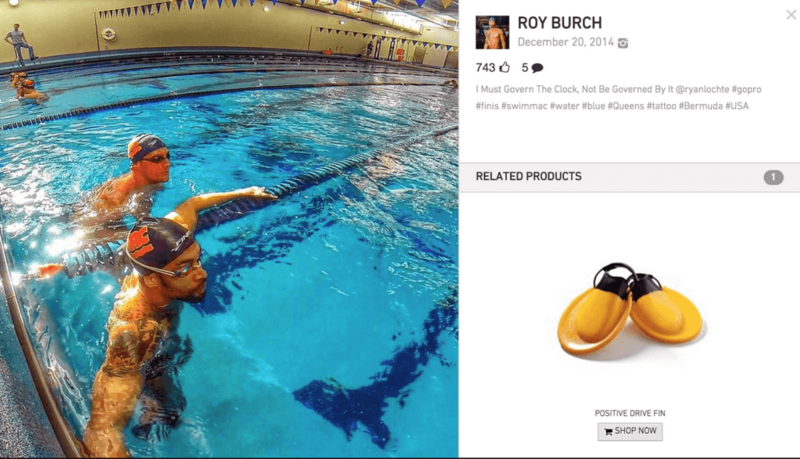 FINIS, a line of swimming gear known for its innovation, chose to use their most loyal fans as brand ambassadors and use their social media content in their marketing strategy. Using ReadyPulse, they identified their top 1% influencers. After running an “Introduce Yourself” campaign, they collected 1,511 pieces of content. This content generated a great deal of buzz, reaching 2.2 million people and engaging 38,458 consumers. The content was then displayed on their website alongside “Shop Now” buttons. 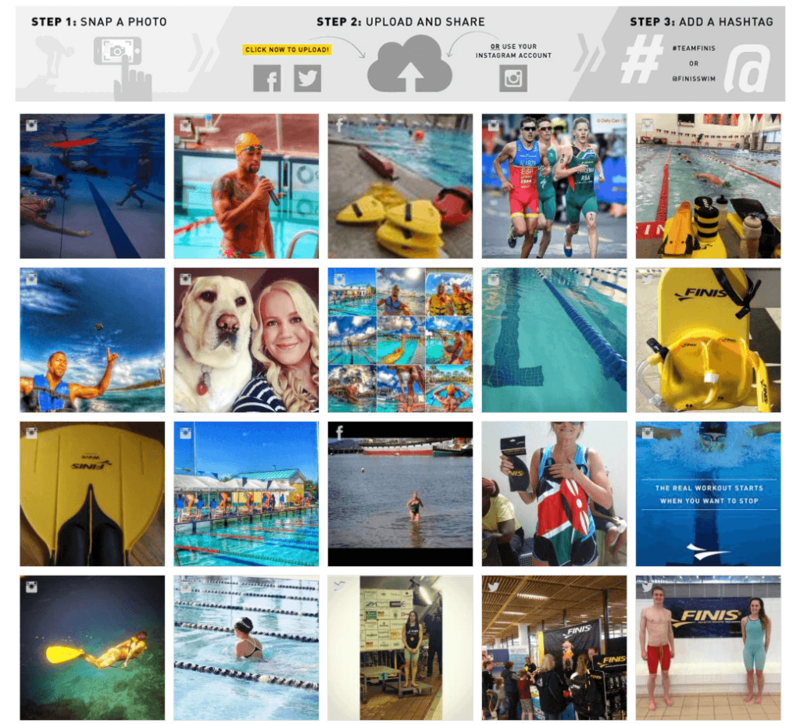 When analytics revealed that 16% of their website visitors were clicking the social content, FINIS realized that this form of on-demand social proof was just what they needed. The strategy yielded impressive results. They also saw a 50% engagement rate, with their average order value increasing by 73%. If you’re still not able to generate an adequate amount of content, there are ways to successfully use and share content that is already published by other sources. HD Vest is a financial services firm that provides office support and broker/dealer operations for 4,500 independent financial advisors across the country. In order to stand out as thought leaders, they knew that they would need content. However, they lacked the resources and time. Additionally, in a highly-regulated industry such as financial services, they had to be careful not to step into any legal gray areas with their content. Trapit technology allowed HD Vest to help advisors find content to disperse on social networks and analyze results. In this platform, businesses can share original in-house content. They can also configure the dashboard to automatically find third-party content from over 100,000 sources to share. With the solution in place, HD Vest was able to partner Trapit’s discovery engine with the dashboard at Hearsay Social, a platform that manages the social, mobile, and web presence of financial services. This content hub allowed advisors to build reputations on social media that attracts and retains clients every day. The strategy proved to be highly effective. Ruth Papazian, CMO and head of business development at HD Vest, discussed in a webinar how their content sharing strategy landed a $1,000,000 deal for one advisor. Inbound marketing brings people to your site through great content. Inbound marketing automation software helps simplify the process of content creation, capturing leads, distribution, and measuring your return on investment. Don’t just keep it all to yourself. Maximize on the potential of your content by distributing it. Build relationships with other businesses who will share your content. You can also automate this process and get your content to just the right people at just the right time. NetLine helped Hubspot get their collection of 20 ebooks into the hands of qualified leads. The goal was to reach US businesses that had 10–1,000 employees. Those leads had to be specific—they specifically wanted to reach business owners, managers, and high titles in marketing. They met their goal, and Hubspot was able to meet their lead volume goal objectives each quarter. 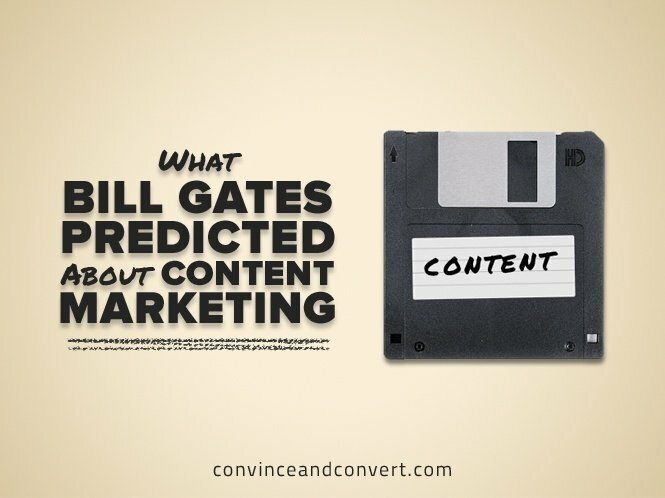 Bill Gates is a wise man—he obviously knew a thing or two about content marketing. Today, content really is king. Make sure you’re making it a focal point in your marketing strategy. Create valuable content, get creative, automate the process, and strategically distribute it. Those who read your content could very well be your next customers.